In this particularly interesting and detailed study, Eleanor Davey traces the rise of the “sans-frontiériste” movement in France in general and, in view of this NGO’s dominant role, of “Médecins sans frontières” (MSF – Doctors without Borders) in particular, in terms of the development of “third-worldism”, by analysing how it was transformed and displaced by “sans-frontiérisme”. This displacement and reconfiguration arose, according to the author, from “a profound transformation of the ideological and intellectual paradigms in France” (p. 6–7), which took place not after but during the Cold War (p. 9). The historical framework of the analysis goes from the outbreak of the Algerian conflict in 1954, birthplace of third-worldism, to the Armenian earthquake in 1988 when the Soviet regime authorised international humanitarian aid for the first time. From the Biafran War (1967-1970) to the expulsion of MSF from Ethiopia in 1985, through iconic debates and controversies (on Cuba, Cambodia, etc.) and changes in the French intellectual landscape, Eleanor Davey takes us on a journey, moving back and forth between third-worldism and “sans-frontiérisme”. The book’s particular merit and originality lies in its analysis of the latter movement, not in terms simply of its opposition to, or even its possible betrayal or misappropriation of, third-worldism, but in a more dynamic and complex way, as a reconfiguration of this movement and the thinking behind it. According to the author, the Biafran crisis, the founding myth of the birth of MSF, saw “sans-frontiérisme” in dialogue with third-worldism rather than in opposition to it, as the international solidarity movement underwent a process of transformation (p. 48). Characterised by its belief in the Third World as the driving force for world revolution, and as communism gradually ran out of steam and struggles against the colonial powers intensified, third-worldism shared with MSF an emphasis on the importance of first-hand experience and the role of testimony and personal commitment (p. 77). What is more, both were heavily charged with memories of the Second World War – the holocaust, occupation and resistance – and the resulting refusal to become an accomplice by remaining silent in the face of the intolerable. The book’s hypothesis is that there is tension within third-worldism between radical political goals and rights-based language, with the latter gradually taking the upper hand to the detriment of the former (p. 82). She highlights this argument in particular in relation to the Régis Debray affair, following his imprisonment in Bolivia in 1967. The campaign to support him, backed by the milieu of the intellectual bourgeoisie to which the Debray family belonged, and tactically emphasising respect for human rights rather than his revolutionary engagement in Che Guevara’a guerrilla war, transcended the left-right divide. This was a guarantee both of its efficiency and of its ambiguity. The arrival on the scene of the “nouveaux philosophes” and the new way of looking at the debate from an anti-totalitarian point of view provided “the new foundation for an intellectual engagement based on human rights, with ’sans-frontiérisme’ at its vanguard” (p. 126). The rejection of ideology as a justification of violence, if not its very source, as well as the desire to involve the media are two points in common between “New Philosophy” and “sans-frontiérisme” (p. 174). Thus, the originality of sans-frontiérisme within the humanitarian sector then laid in the increasing emphasis on calling into question state sovereignty and in its use of advocacy on behalf of victims. The third part of the book opens with a chapter entitled significantly “The turn to ’sans-frontiériste’ spectacle”. Here Eleanor Davey states that “in emphasising the resonances between the ’sans-frontiériste’ and third-worldist forms of engagement, the point is not to say that they were the same but rather that they were not incompatible” (p. 193). There is also an opportunity here to revisit two iconic campaigns : “A Boat for Vietnam” (1979) and the “March for the Survival of Cambodia” (1980). The first, which led to the departure of Kouchner, who then set up Médecins du Monde (MDM), represented a sort of “conscious revisitation of ’tiers-mondiste’ forms of political militancy” (p. 195). But, as Davey stresses, the disagreement between Kouchner and the new management of MSF was not about links with the media. Indeed, at the March for the Survival of Cambodia there were as many if not more journalists than protestors. “The operational priorities of MSF at this time [in the early 1980s] were inseparable from these political issues”, in which challenging situations “were interpreted through the prism of anti-communism” (p. 198–200), writes Eleanor Davey. The main leaders of MSF at that time – Xavier Emmanuelli, Claude Malhuret and Rony Brauman – admitted long afterwards that they “adopted a strongly anti-communist stance : the idea was to turn MSF into a machine… something like an anti-communist war, a ’soft anti-communist war’” (Rony Brauman, in an interview with the author in 2013, quoted on p. 203). As a consequence, the management of MSF “used a language of neutrality to cover their consciously anti-communist stance” (p. 214). The organisation’s mythology put testimony – and adventure – at the heart of MSF engagement, in particular during the war in Afghanistan (1979-1989), thus blurring its anti-communist logic (p. 212). The fact remains, as Davey states, that not all advocates of humanitarian action and human rights, within MSF and outside, were anti-communist (p. 213). 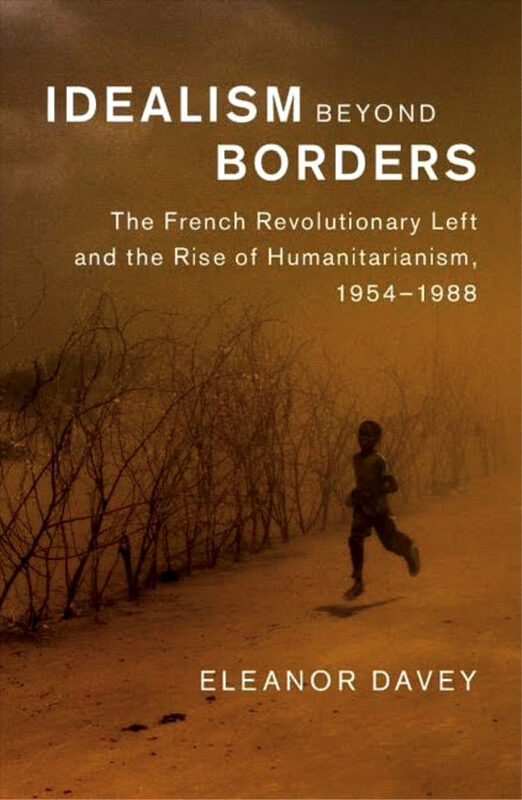 The creation of the foundation “Liberté sans frontiers” (LSF) in 1984 and its famous conference “Third Worldism in Question” early in 1985 was the most aggressive ideological statement in MSF’s political campaign (p. 216). Designed to be provocative and excluding anyone associated with third-worldism and development thinking along with, more generally, any African, Asian or Latin American thinkers, this conference aimed to get rid of “the ready-made ideological thinking of third-worldism”. “The notion of a move from political ideology to an advocacy of human rights was perhaps the most recurrent theme of the political interventions”, states Davey (p. 221). She indicates that this LSF offensive was also aimed at some of the membership of MSF considered to be still tainted with this ideological failing (p. 245). The final pages are dedicated to MSF’s denunciation of the policy of population transfers operated in Ethiopia in 1985 by the Derg communist regime, and to the expulsion of MSF from the country. The MSF standpoint was original not so much for the virulence of its criticism – other organisations were just as critical – but in its high media visibility and its reformulation : famine was considered “a result of political violence not natural disaster” (p. 226). At the centre of the controversy was the denunciation of a humanitarian situation offering a political analysis, but leaving little room for humanitarian action (p. 232). Some points would have deserved a more balanced approach and it is a pity that Eleanor Davey did not include a sociological analysis since it seems that a number of the central figures such as Jacques and Claudie Broyelle, Bernard-Henri Lévy, Bernard Kouchner, Rony Brauman, Claude Malhuret, Jean-Pierre Le Dantec and André Glucksmann shared the same sociological profile and moved in the same circles. Above all, the question of neoliberalism (referred to on p. 253) is not included in the focus of the study, even though it played a full part in “moving on” from third-worldism to “sans-frontiérisme”. The convention is to situate neoliberalism as coming to the forefront, after the laboratory test in Chili under Pinochet from 1973, when Thatcher came to power in the UK in 1979 and Reagan took office in the USA in 1981. In this way, it is not only contemporaneous with the transformations underway at that time and being studied here, but it was also closely linked to the emphasis on anti-totalitarianism (mistaken for anti-communism) and the (contrived) promotion of human rights. Without including this factor, it is impossible to understand how the intellectual void of the “New Philosophy” could have had such resonance in the media. Similarly, it acted as a catalyst for innovations in terms of management and communication, which were successfully taken up by MSF : Claude Malhuret, the President of MSF at that time, brought in marketing and fund-raising techniques straight from the USA, and the tendency was for humanitarian aid to define itself as “a project geared for media representation” (p. 197). This explains the boom in donations to MSF and its popularity in the early 1980s. Thus “sans-frontiérisme” crossed paths with the neoliberal offensive which in return cast the spotlight on its success. Through Malhuret’s links with the North American right and the financial support of the National Endowment for Democracy (NED) – a foundation aimed at exporting American soft power – MSF contributed to “moral rearmament initiated by neoconservative intellectuals and the American administration from the mid 1970s”. In 1984-1985, this offensive took the form of the construction of the third-worldist myth, presented misleadingly as hegemonic even though it was only ever endorsed by a small minority, at a time when in the mid 1980s the neoliberal ideology imposed itself with considerable force. MSF’s practice of witness and denunciation must therefore be examined from this angle. Obsessed with the dangers of the political manipulation of humanitarian aid (p. 233), the organisation was quick to denounce state interference and instrumentalisation. That was its strength in 1985 in Ethiopia, but also lay behind its mystification in 2010 in Haiti. The emphasis on the risk of “politicisation” obscures, in fact, the power imbalance when the ministers of health of many southern nations often have more limited resources at their disposal than MSF, and also the manipulation and instrumentalisation of aid by that most political of all institutions : the market. This criticism in no way detracts from the quality of Idealism beyond Borders. Eleanor Davey’s book makes enjoyable reading, with its caustic and forceful view of the pedigree of “sans-frontiérisme”, mapping an intellectual landscape which spreads beyond the borders of France and which is still to a large extent ours to this day. In this way, the study enables us to define more clearly the paradox of a humanitarian ethos which seems to have become the main or the final vehicle for the moral hopes of so many in the West (p. 254).